Clear Vision Auto Glass repairs and replaces cracked windshields and broken auto glass. 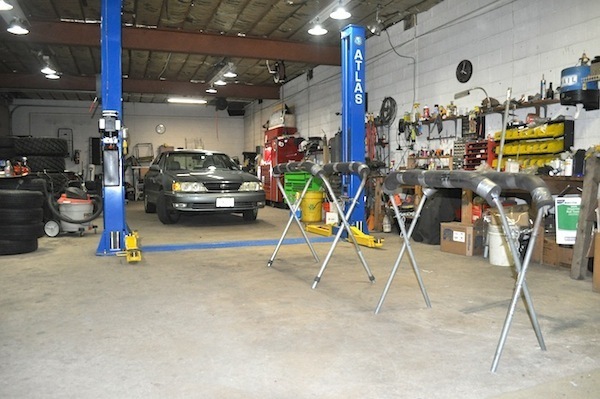 With over 28 years of experience, we are dedicated to providing high quality parts and workmanship at affordable rates. With over 28 years of experience fixing and replacing broken or cracked auto glass, our team is ready and willing to help you restore your windshield or windows to like new condition. We expertly service all types of auto glass including windshields, door windows, sunroofs, vent and quarter windows. We also repair power window and door systems. Have a damaged windshield or broken side window? Don't wait to get it fixed. That crack may spread quickly exasperating the problem and cost of repair. More importantly, modern auto glass is specially designed for safety. All recently manufactured vehicles come with safety glass containing a laminated layer separating two separate pieces of specially designed glass. This system dramatically reduces the likelihood of loose glass traveling throughout the vehicle when impacted. Whether in an accident or from flying rocks, modern auto glass is designed to reduce injury caused by loose glass. Many cars and trucks also depend on the structural integrity of the front windshield for airbag deployment. Your cracked windshield or window may not just be unsightly, it may be unsafe. Our team is committed to providing honest, reliable windshield and window services for our valued customers. We do so with integrity not only in workmanship but also in pricing. Our services and parts are affordable and our commitment to quality is unwavering. Call Clear Vision Auto Glass today, 609-393-0029. Clear Vision Auto Glass is located in Lawrenceville NJ, on the borders of Hamilton, Trenton, and Ewing, convenient to Pennington, Princeton, Bordentown, and East Windsor NJ.